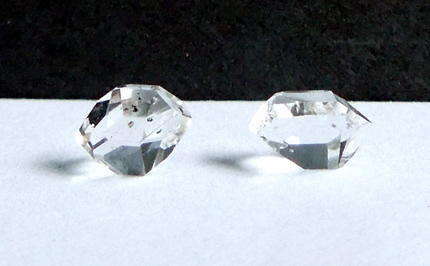 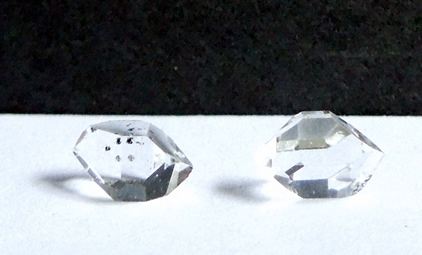 The 7.5x5.5x7 mm / .87 ct. crystal is pictured on the right in the images. 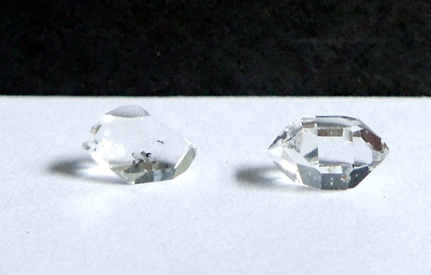 It is eye clear and water clear. 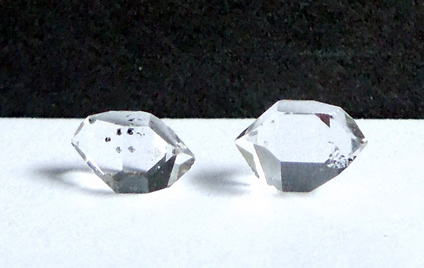 Pictured left is the 7.75x5.5x4 mm / .98 ct. Herkimer. 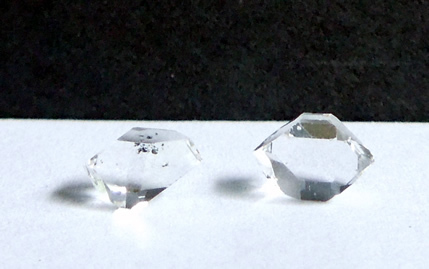 A tiny speck of black hydrocarbon is present. 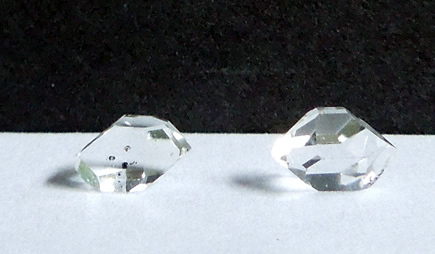 Both Herkimer Diamonds are water clear, quality double terminated quartz crystals.